Wedding. 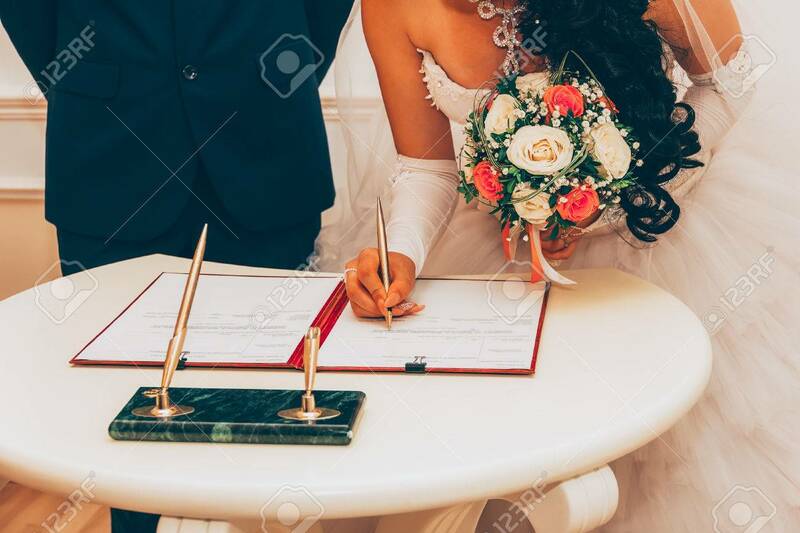 Registration Of Marriage, The Bride With A Bouquet Of.. Stock Photo, Picture And Royalty Free Image. Image 64022851.